Abstract: The necessity of developing an accessible tourism industry is recognized by a wide range of tourism academics and is increasingly recognized by international organizations such as the World Tourism Organization (UNWTO). A part of this development will be the creation of easily-recognized universal system of accessibility symbols. This report looks at a wide range of accessibility communication systems currently being used in ten countries from Europe, North America, the Middle East, and the South Pacific. An evaluation of each systems shows that organizations often use the same symbols but imbue them with different meanings and add other symbols to imply more details about the exact accessibility level. Additionally, assessments of venue accessibility are done using different rating systems and are confusing in practice. 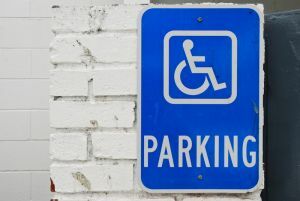 The majority of organizations do not clearly indicate who judged the level of accessibility and for this reason the accuracy of the assigned symbols may not be verifiable. Organizations that do state the assessors refer to trained volunteers and students or the venue occupiers themselves. Author: Veroniek Maat, MSc Leisure, Tourism and Environment. Intern at the New Zealand Tourism Research Institute 2010. Please read the report by downloading it below.